Trouthaven began as a rather far-fetched dream. The time was post WWII and Lt. Col. Walt Hearne was stationed at Larson Air Force Base in Moses Lake, Washington. He met his future bride, Carol Clarkson, at an officer’s club at McCord AFB in Tacoma. He had fallen in love with Wallowa Lake while flying over the mountains. Realizing that he had to have a life style more conducive to marriage than being a “fly boy”, he started exploring his dream of owning a hunting and fishing lodge. 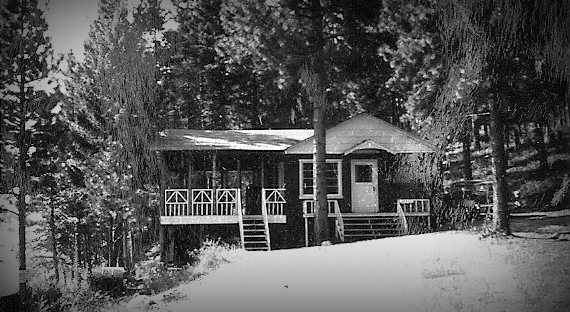 He bought a half mile of lake front on the west side of the lake and started building. He had no prior experience as a carpenter but that didn’t seem to daunt him at all. 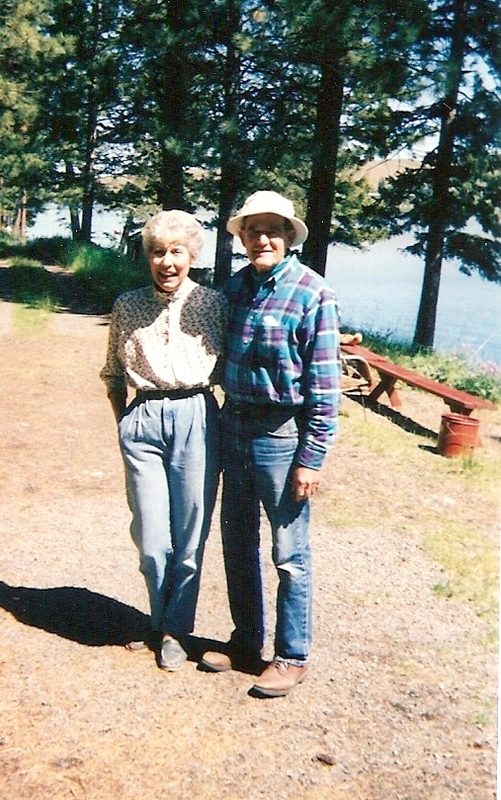 He married Carol in 1950 and his dream became their dream. They had two children, Gail and Brett. The early years were very hard. Road access was poor, winters were very long leaving them snowbound much of the time. Sometimes they had to walk over the frozen lake to get supplies and groceries. Carol’s dream did not include cooking on a wood stove and raising two kids in an uninsulated 500 square foot home. 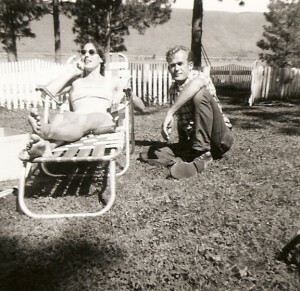 Walt was still in the Air Force Reserves and often had to leave her for training. Hopefully, he left plenty of chopped wood. Their business became a source of great pleasure for them as they developed dear friends who returned year after year, sometimes spanning three or four generations. They operated their business themselves with only their children for “employees”. 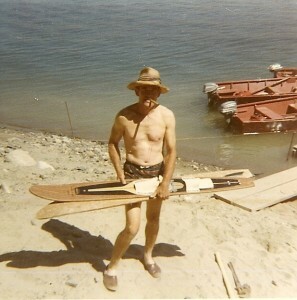 Walt took tremendous joy in fishing the lake. He could always find where the fish were hiding for his guests. He loved to get young kids fishing and many of our guests remember their time flipping flyline over the water. 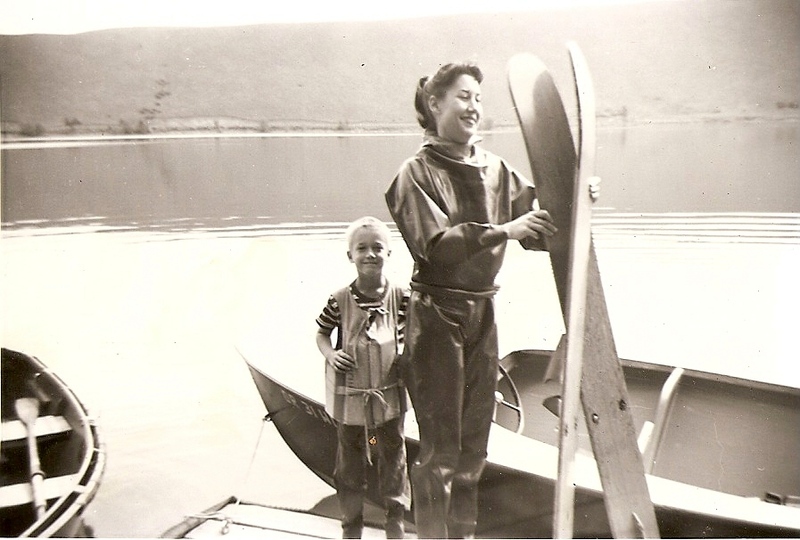 Carol loved water skiing and took great pride in getting everyone up on skis. She cut quite a figure in her bathing suit as she sliced through the waves on her slalom ski. Trouthaven has not changed very much through the years. 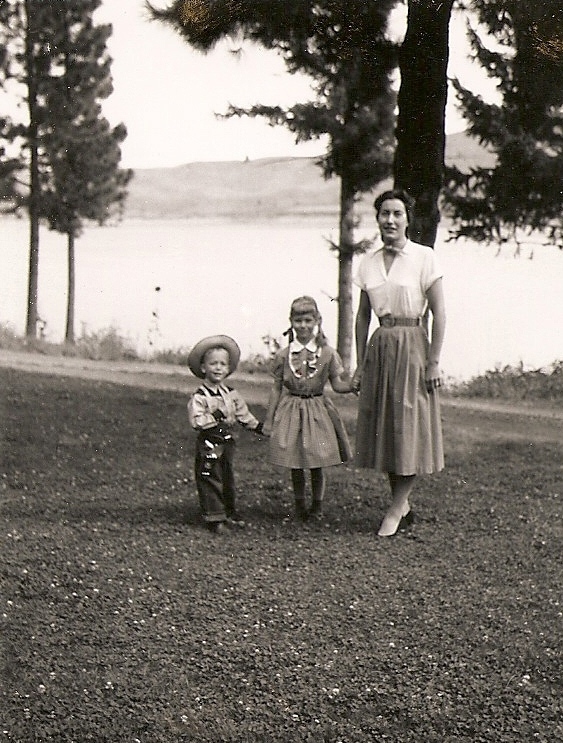 Since our parents passed, we have operated the business much as it always has been. We have tried to keep the same atmosphere as they intended. Children still love to scoop minnows off the dock. They still experience the thrill of catching a big trout or pulling in a heavy crawdad trap. Families and friends gather around the campfire, pitch horseshoes or stroll down the lake trail. Guest still share great stories of Walt and Carol and we are grateful for their stories. We think they would be very happy to see their children and grandchildren carrying on their legacy. Walt always said he was allergic to cold water!